Since 2011, there have been many meal kit delivery services that have emerged on to the USA market. Each company has its own unique agenda and specialty. Now you will find that there is a company that caters for almost every requirement. Whether it be meeting the needs of special dietary requirements, providing meals with fast cooking times or creating meals that are more suitable for families, there is a company that provides this service. The list is endless! In today’s review, we are going to focus on the best meal kit delivery services that supply their customers with organic ingredients. What is in fact organic food? The USDA organic regulations describe organic agriculture as the “application of a set of cultural, biological, and mechanical practices that support the cycling of on-farm resources, promote ecological balance, and conserve biodiversity. These include maintaining or enhancing soil and water quality; conserving wetlands, woodlands, and wildlife; and avoiding use of synthetic fertilizers, sewage sludge, irradiation, and genetic engineering. There are many benefits to be received by consuming organic foods. Organic foods contain fewer chemical pesticides, and are always antibiotic and hormone-free. For organic farms animal welfare and being eco-friendly is always a high priority. Because of the care that goes into their production, organic foods generally have a better and more natural taste and need to be consumed when fresh, unlike many other foods that are not organic. If part of your nutritional goals are focussed on eating organic foods, or if you are trying to increase your diet of organic homemade food, then meal kit delivery companies have your back! There are several meal kit services that understand the needs of this growing lifestyle, and offer some delicious, diverse and satisfying options for you. Signing up with one of the following recommended companies can make your evening dining options easier to achieve than ever before. 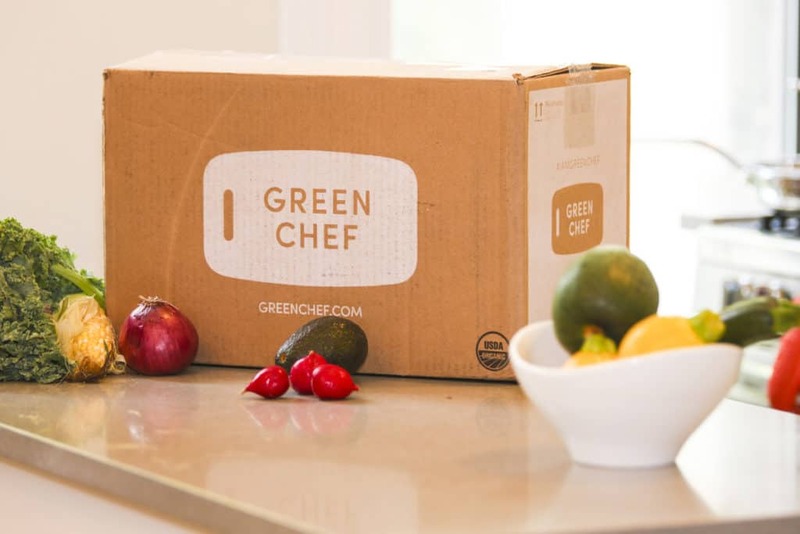 Green Chef is a USDA-certified organic meal kit delivery service. That means that all their ingredients are 100% organic and sustainably sourced! Green Chef has designed seven specialty health and diet programs that provide solutions for the latest health-food trends for you to choose from. All their meals are chef-crafted and filled with great flavors. The plans are offered as a two-person plan and a four-person plan, with three recipes per week. From our experience, after testing many meal kits services out there, Sun Basket is an amazing option for organic and healthy food lovers. All the dishes in their flexible and very creative weekly menu that consists of 18 dishes per week, are full of fresh and organic ingredients. As a bonus, all their meals are planned so that they can be ready in 30 minutes or less. Sun Basket works with 100+ farms to ensure that they supply the best available organic fruit and vegetable produce in their pre-portioned and ready to cook meal kits. They only use responsibly raised poultry and meats, sustainably sourced seafood, and they make sure that they only work with trusted suppliers. Other Highlights: Among their weekly menu of 18 dishes, you will find meals that are gluten-free, dairy-free and soy-free. They also cater for specialty diets such as paleo, Mediterranean, vegan, vegetarian, family-friendly, lean & clean and diabetic-friendly. 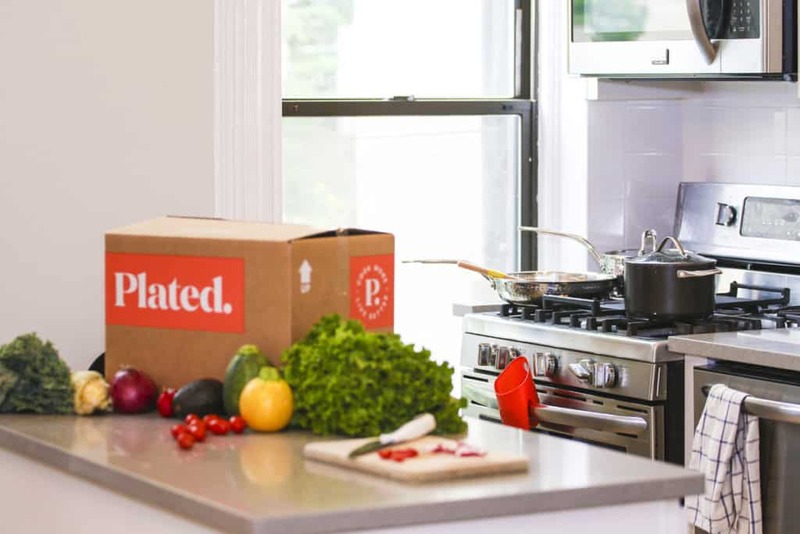 Plated is a meal kit service for food lovers, and you can clearly see it in their amazing weekly menu made up of 20 dishes. The variety they offer is impressive, and all their meals are bursting with creativity. While Plated is not a certified 100% organic company, the company only uses antibiotic-free pork and poultry, sustainably caught seafood, hormone-free beef, and farm-fresh seasonal produce that is organic in many cases. From our experience, the quality of ingredients delivered by Plated is amazing, and most important, everything is incredibly delicious. Other highlights: Among their weekly menu of 20 dishes, you will find some vegetarian, low-calorie, low-carb, no-gluten added, quick-prep and family friendly meal options.